Practice Guru is an E-Learning company having expertise in Self-Assessment and Evaluation modules for various competitive and entrance exams. It was established in 2006 with Engineering and Medical Courses in its domain, now the company publishes 400+ titles (Engineering, Medical, Law, Commerce, Management, Govt. Services, Banking, UPSC, RPSC, SSC, CBSE, Olympiads, etc). Our USP is the choice and selection of questions that are included in our CDs/DVDs/Online Tests/Android Application. We have catered to 1 Million plus students till date. All our products can be used by installing software on computer systems or by accessing to internet or on android mobile phones. OUR USP IS THE PRECISE SELECTION OF QUESTIONS (20-30% from Previous Year Papers, 20-30% From Good Books and Magazines, 40-60% are prepared by our Subject Matter Experts). 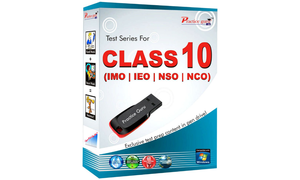 This ensures your practice on the most sought for questions to be asked in the exams. Immediate Results / Reports and detailed Solutions add up to your revision and assessment. Practice Guru is an E-Learning company having expertise in Self-Assessment and Evaluation modules for various competitive and entrance exams. It was established in 2006 with Engineering and Medical Courses in its domain, now the company publishes 400+ titles (Engineering, Medical, Law, Commerce, Management, Govt. Services, Banking, UPSC, RPSC, SSC, CBSE, Olympiads, etc). Our USP is the choice and selection of questions that are included in our CDs/DVDs/Online Tests/Android Application. We have catered to 1 Million plus students till date. All our products can be used by installing software on computer systems or by accessing to internet or on android mobile phones. OUR USP IS THE PRECISE SELECTION OF QUESTIONS (20-30% from Previous Year Papers, 20-30% From Good Books and Magazines, 40-60% are prepared by our Subject Matter Experts). This ensures your practice on the most sought for questions to be asked in the exams. Immediate Results / Reports and detailed Solutions add up to your revision and assessment. 1. Runs without Internet! 2. Immediate scores and solutions! 3. Compatible with Windows XP/7/8 4. Online support 5. Complete career planner chart with PDF files containing relevant details 6. Random questions in a test every time you practice! 7. Exam Details (Syllabus /Pattern) 8. All About This Exam 9. Examination Tips 10. Study Notes 11. Previous Year Papers 12. IQ Test 13. Exam Calendar 14. Career Guidance 15. Motivational / Success Stories 16. Fun Zone 17. Other Products "